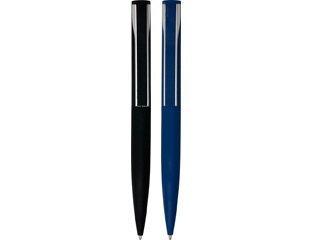 A pen offering Pure Writing Comfort with a contemporary design. The new Striker Collection features a solid brass base with a thoroughly modern soft touch, rubberized exterior finish. The unique wide, flexible clip makes the design particularly appealing to any millennial on the go. Also ideal for anyone preferring somewhat of a grip while writing.